Honestly, I’m a little bit nervous when writing about this topic as you know, the world of wallets for ladies is uncountable. Forget about the colors, just the diverse of its styles is enough to make you confused. But obviously, a single wallet can’t afford all your needs and situations. You need to know which purposes you intend to use it. For instance, if you are going to attend an evening party, the best choice is a dress wallet or a wrist wallet with luxe and expensive look. On the contrary, for daily use, you should consider casual-designed with larger capacity to fit your everyday carry. 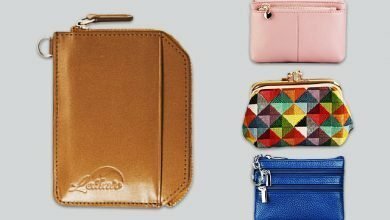 That’s said, in this Best Wallets for Ladies Article, I will list out different wallet types which are the best option for specific purposes (of course, in my experience) so that chances you can pick the right one. Read on! This Yafeige screams party vibe with its luxurious, shiny and modern outer performance. The whole product is made out of premium Oil wax cowhide leather and the finest gold-tone hardware, which emphasizes its luxe to many times. Moreover, its strikingly soft and comfortable leather texture when touching will surely satisfy any die-hard leather fan. Plus, perfectly uniform stitching, fabric lining and dedicated sewing thread make the female wallets more durable and longevity. Just peace in mind to put up heavy loads into it, such as smart phone, coins, cards, cash, and stuff like that. Besides, its well-organized structure definitely keeps your belongings streamlined. For those who are curious, this wallet can accommodate an iPhone 7 Plus without bulk. 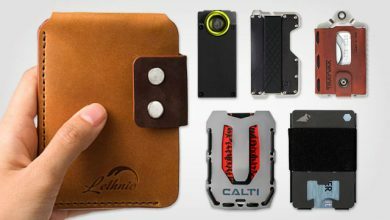 There are also 13 card slots, 4 large compartments to fit various currencies and 1 zip-around pocket or extra security. Plus, RFID Blocking Technology and money-back guarantee. 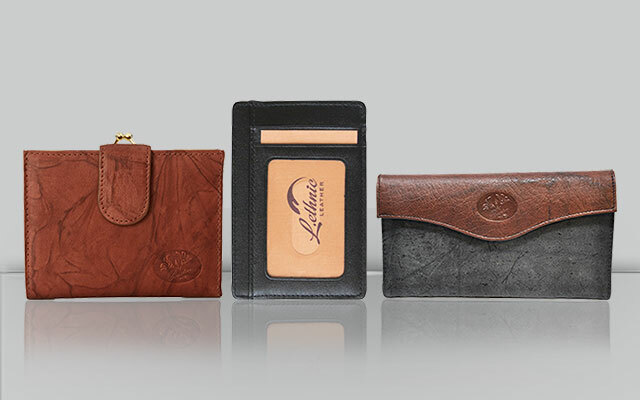 Handheld wallets are the most common item to complete any event outfit based on its luxe, elegance and subtleness. However, during the party, this becomes bulky as our hands are usually busy holding other stuff like wine glass, food, or phone. That’s why I sincerely advise you to opt for a dress wallet with detachable wristlet. And Fossil is my choice! This is a worthy investment for a pricier wallet when you need to show up your class and luxury in the publicity. 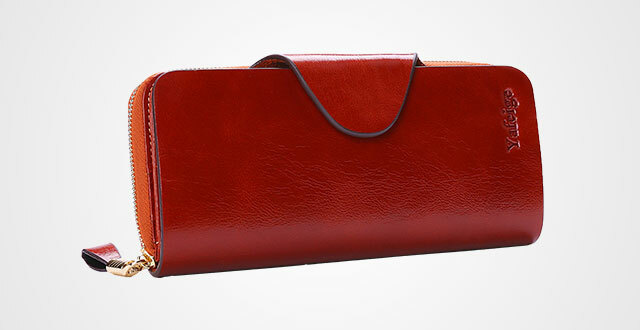 Its genuine leather is truly high-quality, distinctly soft and durable. Plus, the gold-tone zipper and hardware accessory matches perfectly to its material to enhance the luxe and powerfulness. Taking a closure look and touching it, you will feel clearly how well-made it is – uniform stitching, strong threads and fabric lining. Inside this wallet, there are various compartments for cards, cash and other stuff to ensure the ultimate protection and organization. By the way, did I tell you how much I love its backside zippered pocket? Yes, talking about women accessories, Vera is always one of my choice not only because of its high quality, thick and durable fabric or the smooth zipper, but also its colorful design that surely adds some characteristics to your style or at least, lighten up your simple outfit. 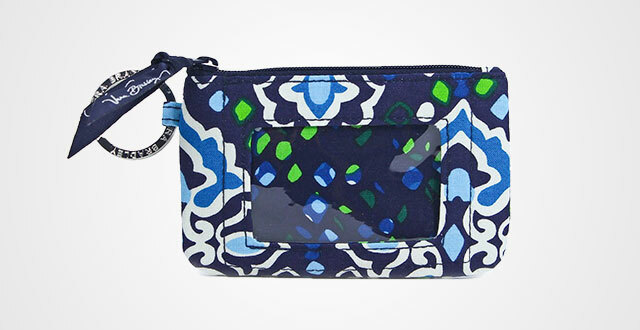 This Vera Bradley Zip ID Case provides more than 20 designs to meet different tastes. It’s also convenient with a sided signature key ring in silver tone and the front ID window where I can keep up my ID or bank cards for quick access. Its lining is thick and well-made to give extra protect to our belongings. Not saying that the interior is designed neatly with some compartments and slots for cards, cash and stuff like that. Thanks to its unique style, you can flexibly mix it with differently and use in many occasions such as party, shopping, daily use, etc. I personally love the colorway of this Buxton. It’s a nice mix between black and brown to deliver a vintage, classic and luxurious look. 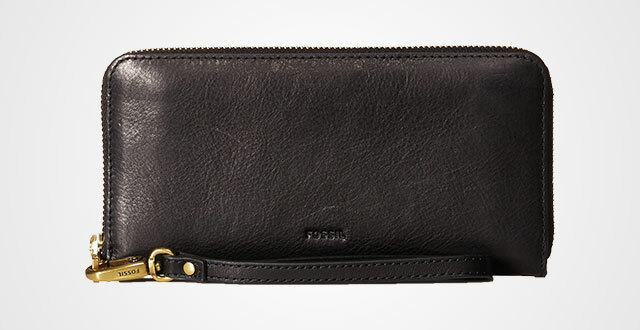 Not only using 100 percent genuine leather for its body, the wallet also utilizes leather lining. Measured by 4 inches high and 7.5 inches wide with one major compartment secured by a closure snap and one backside pocket using kiss lock, it is perfect to keep many kinds of belongings, from those heavy things like smart phone, checkbook, to the easy-to-get-lost stuff like coins. However, based on its material and structure, please understand that this wallet will come in heavy weight. 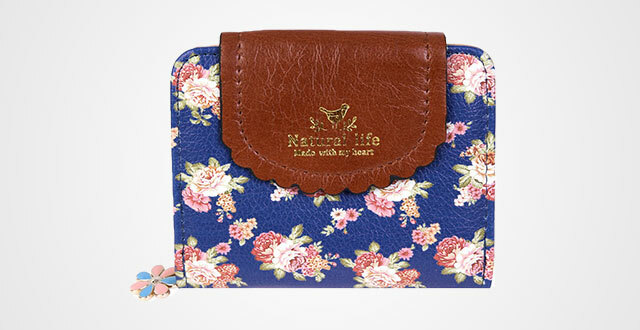 So, it’s truly a best friend for those ladies who love carrying a sturdy wallet. Measured as 5 ¼” x 4 ½” x 1 ½” with minimally squared design and luxurious Authentic Crunch Leather, Buxton is one of the best small wallets for women to stay alongside in many occasions such as daily use, hang out, shopping, or party. It features two main compartments, one is closed by a snap button and the other is secured by a kiss lock. You will have 15 card slots, some cash compartments and 1 ID Window to manage your stuff streamlined and neat. 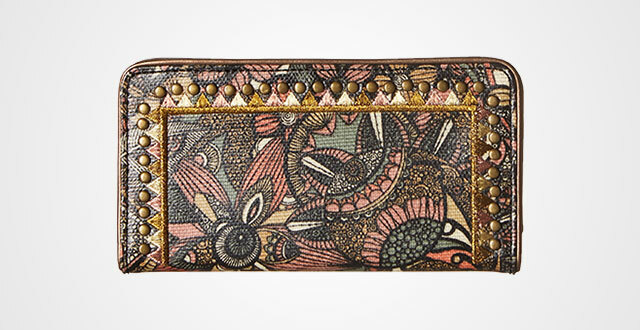 This Daruma screams feminine look with floral pattern printed on PU leather. Such combination makes its overall outer performance not look too boring or candy but very fresh and dreamy. 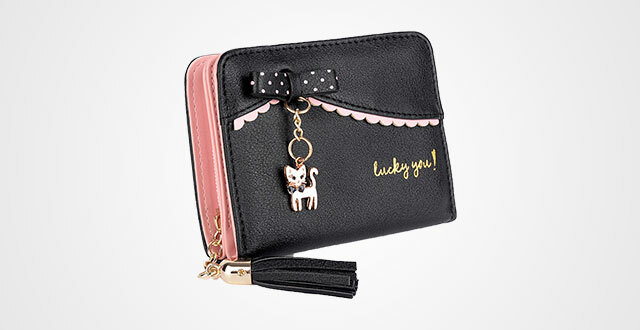 A cute wallet that should have been in any teen girls’ bag. However, compared to the price tag, its quality is truly a big deal. Don’t look down on this synthetic leather as it’s quite high-quality with sturdy, soft and durable texture to surely serve you for years. Measured by 4.5” x 3.3” x 1”, how much stuff does this small piece can fit up? Well, the answer is a lot. It has 3 card slots, 1 large compartment and 1 ID window with button closure. Besides, there are two inner linings with smooth zipper to ensure to give you extra protection. Another cute thing is its flower zipper puller, matching perfectly to its floral pattern to become a great decoration as well. We cannot deny that Sakroots’ products are very dope with one of a kind patterns and high quality. As an example, this Artist Circle Slim Wallet is a perfect piece to receive countless compliments from the surroundings. It’s beautiful, for sure with the combination of unique print and rustic gold-tone hardware. There are up to 22 designs to opt for, each of which does create a particular vibe. For those who are curious, it features 6.75 inches high and 6.5 inches wide, consist of 2 interior huge compartments, 12 card slots (including 1 ID Window) and 1 outer zipper pocket for quick access. 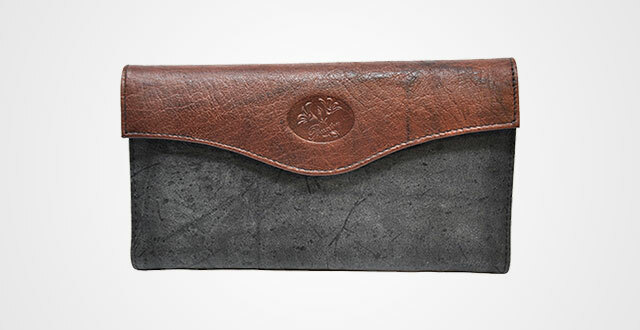 As made out of 100 percent fabric, this wallet is superb lightweight and slim to make a good fit to any pockets. Cute wallets for girls with the compromise of style and functionality. I like its colorways and the feminine combination of cat-shaped hardware decoration, laces, bows and nicely printed Lucky You in the front. Again, it’s a small piece to either hold firmly in hand or stay neatly in any handbags. 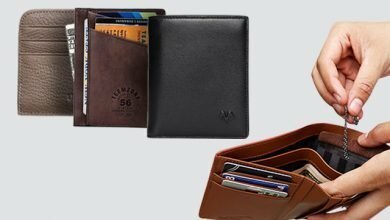 Measured by 3.54″L(Closed) – 7.08″L(Open) x 4.72″W x 1.18″H, including 6 card slots, 1 cash compartment, 1 ID window and 1 zippered pocket, this wallet is compact yet spacious to fit up your daily essential stuff. Finally, who can’t say no to tassels? 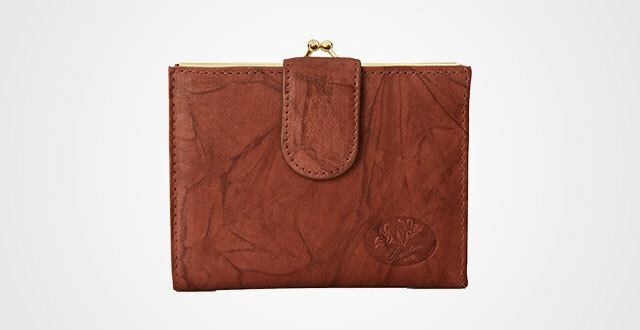 This is a little bit pricier wallet but, you will be happy with this purchase. It’s a perfect combination between luxurious design and functionality. 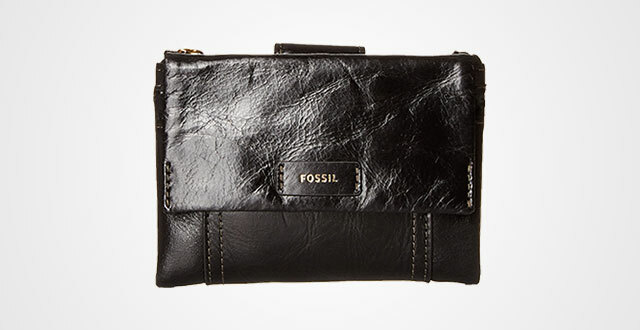 As always, this Fossil Ellis is made out of the finest real leather to give a soft texture with comfortable hand-feel. Besides, its durability and longevity definitely stay with you for years. A small special feature of this Fossil is its various designs. Some go with on-set color, a few consist of dual colors while the other follow striped concept. To that end, I think you will find at least one of them to meet your taste. There are 12 card slots, 2 slip pockets, 1 bill compartment, 1 ID window and 1 zip-around pocket. The whole wallet is measured by 3.75” x 5.25” and utilizes textile lining. Its interior is quite well-organized and spacious to fit up your daily carry. Though our bifold long wallets can hold our world on hand, they are sometimes annoying because of its bulk and burden, that’s why I highly recommend you to add one more minimalist wallet to slim down what you carry. Like this Genuine Leather Lethnic Wallet, it features 4.33 x 2.95 x 0.15 inches, very slim to stay in your front pocket or in your bag neatly. However, it does come up with a moderate capacity to fit up your vital things like regular cards and a couple of cash to get ready for the go. On top of that, this Lethnic also keeps your stuff streamlined as well with 4-5 card slots, 1 ID window and 1 middle compartment fit nicely folded bills. Moreover, it’s equipped with RFID Blocking Technology to avoid any 13.56 MHz and 125 KHz Frequency Signals to keep your personal information stay safe against hi-tech thieves. Contemporarily, here are my 10 best wallets for ladies based on my experience and research. (I will update it as long as I have found some new good pieces). 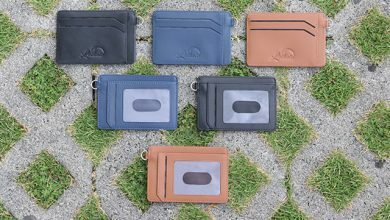 Hopefully, this wallet is helpful for you to grab the right one. Good luck!